We have created a 3-minutes long animation for the Polish National Culture Centre. It shows accessibility of culture in each province and county of Poland. Various indicators that are examined by the Centre are presented. Their values were transfered to the map of Poland as heights. One can find additional information at the NCC website, and the animation itself is available directly on YouTube. 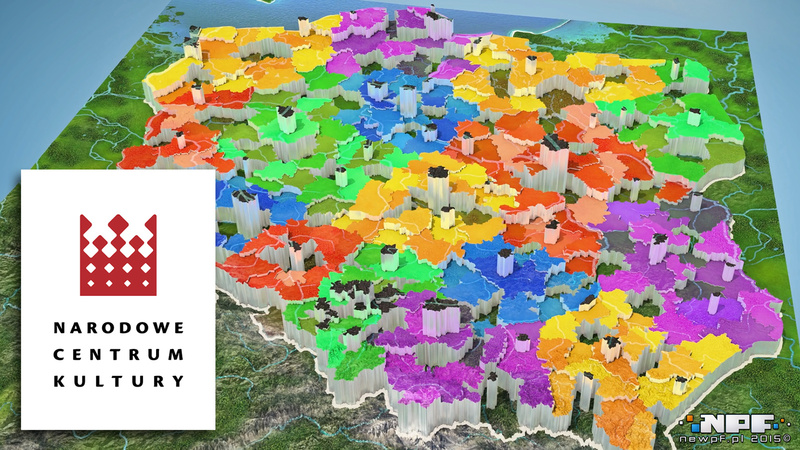 From the technical side, the most challenging task was not only preparing a topographicaly accurate 3D model of Poland, but most of all, showing the provinces and counties in such way, that the values of individual indicators are clear and legible for the viewer. Projecting the values of the indicators on the heights of the counties and provinces was also an extremely arduous task.